Ratnadeep has been a favourite place for buying groceries for almost last 7 yrs. The first one we shopped at was in Hitech city. A new and bigger store opened in Kondapur and I moved to the new place. Was apprehensive about ordering veggies but I wanted to give it a try. Received my order this morning and found that all the veggies were fresh ,of good quality and packed neatly. There is an option to select the date and time of delivery on the website. Payment can be made by cash , once we are satisfied with the stuff. Orders above Rs1000 will be delivered free. Most of the routine stuff can be ordered via this website. Learnt from the delivery boy that these folks are operating from a godown in Balanagar. 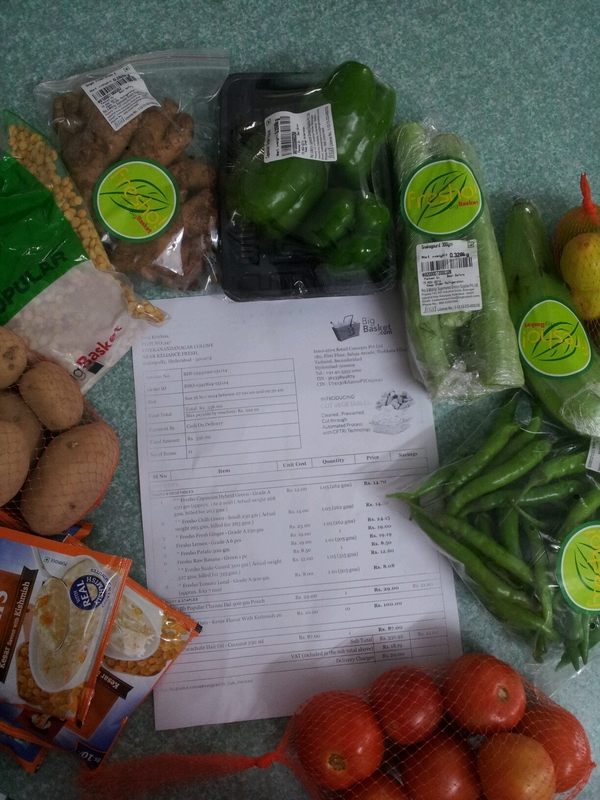 Categories: Uncategorized | Tags: Bigbasket.com, groceries haul, Hyderabad | Permalink. Nice article! Me too purchase groceries online at Bigbasket. I usually prefer https://happysale.in/bigbasket/ for more discounts and offers when ever i shop online.